The Prince and his Duchess arrived in Asni in the Atlas Mountains this morning. 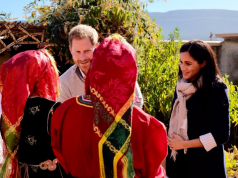 Rabat – Prince Harry and his pregnant duchess Meghan Markle are enjoying their time in the Atlas mountains in Asni, a village 50 kilometers from Marrakech. 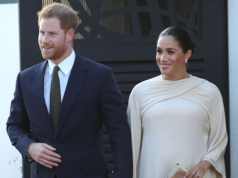 Videos and photos of the royal couple exploring the Atlas Mountains sweeping social media. One video is particularly popular, showing the duchess getting Moroccan henna tattoos. The video is sweeping Twitter, Facebook and Instagram. The Duchess’ right hand is adorned by Moroccan henna at a ceremony offered to her at the Education For All, an NGO that facilitates education access to girls. Moroccan henna art is often associated with wedding and other ceremonies. It is also a centuries-old practice that has become a popular tourist activity in Morocco. Pregnant women traditionally receive henna in their seventh month of pregnancy. 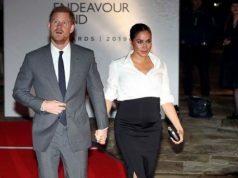 The Duke and Duchess arrived in Morocco on Saturday just after 9 p.m. in Casablanca. 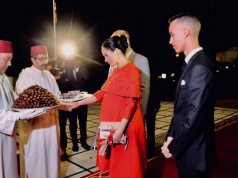 The royal couple was then received by the Crown Prince of Morocco Moulay El Hassan at Rabat’s royal guest palace.